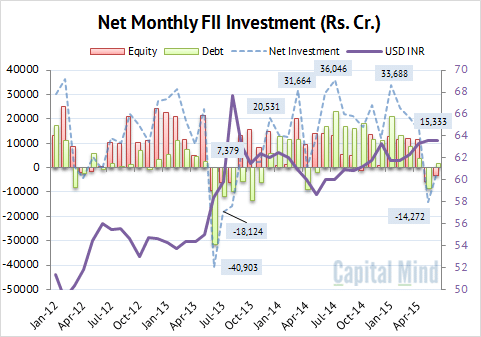 FIIs continue to sell equity as they sold about Rs. 3,300 cr. in June in equity. 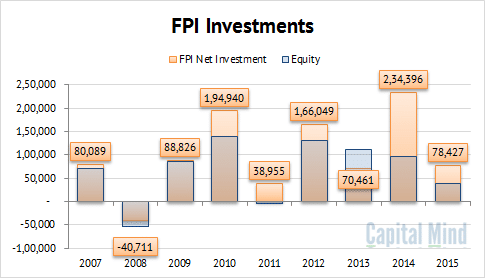 However, they have been net purchasers of debt with about Rs. 1,700 cr. worth of purchased positions. Meanwhile Indian markets are running up like there’s no tomorrow! We should expect extreme volatility…and not in one direction, so this is pretty much par for the course.